Office & Home One Off & Contact Cleaning Service Garston L19 | Quality Property Care Ltd.
Get one of our cleaners as a regular and you’ll no longer have to worry about your home being untidy. We have available slots during weekends and bank holidays, with no strings attached and free of additional charge. Use our service whenever you need to, with no cancellation fees or waiting period. So, if your home, office, or any other property needs proper or regular cleaning, book the service of the professional cleaners from Quality Property Care Ltd.! We wipe and dust all surfaces, of course, dust decoration ornaments, wipe furniture, clean and wipe skirting boards, clean handles and doors from greasy marks and fingerprints. The cleaning and dusting of picture frames, lamp shades and window blinds is also possible, including the cleaning of the inside of the window, if necessary we mop and vacuum the floors and carry out the trash in the bins. If there is any furniture in the hallway we dust it, we dust pictures and light switches, clean skirting boards, vacuum the mop and floor it if possible, we also clean and polish the front door if necessary. Quality Property Care Ltd. respects the privacy and the safety of all of its customers which is why the personnel is hired after careful checking of documents, recommendations, police checks and is given intensive training for at least 2 weeks. The deep cleaning is an hourly based service, no matter whether it is for domestic cleaning, commercial cleaning, contract cleaning, or whether it is a regular cleaning service or professional one off. The Greater London cleaning services offered are available and suitable for: coroners, public service agencies, law enforcement agencies, hotels, motels, funeral homes, industrial and commercial properties, home owners, landlords and apartments. We can prioritize certain areas of the property as mandatory and others as option to ensure that selected things are cleaned properly within the reserved time slot. We can kitchen appliances cleaning including microwave, fridge and oven cleaning. 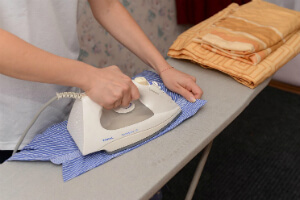 It’s possible to request the ironing of bed changing, laundry sessions, clothes, pet feeding, flower watering, and window cleaning on occasion. When booking you can give us a checklist which you want us to follow, the cleaner then follows said list to the T, ensuring that everything on it is cleaned as desired. In detail our lists are separated by room, starting from the kitchen. We accept orders on house cleaning in Garston L19! Use the online booking for for direct reservations! Dear customers, our reputable regular cleaning company works 365 days per year with no exception for weekends or holidays! Get a free quote now or ask for more additional information via phone call on 0151 673 0008 phone number! Quality Property Care Ltd. is always glad to help you with home or hygiene office maintenance!